This is Sweden's oldest inn, with rights already from 1609. The then king entertained Gripsholm Castle and soon Mariefred had become a point on the map - from here Gripsholms Värdhus Hotell & Konferens has been developed and preserved to the fine conference facility it is today. Modernized history forms the basis of this meeting place, where the business group is able to confer in converted rooms with a rustic and noble feel at once. 46 bedrooms (91 beds) are located within Gripsholms Värdhus walls. The yellow main building stands as a spartan envelope for the dreamy world that hides inside its shell. Lovely historic décor, noble suites, and cozy bedrooms with beams and patterns await the conference guest who stays overnight in the ever-worn history books as the sheets. Up to 70 people can meet at Gripsholms Värdhus Hotell & Konferens. 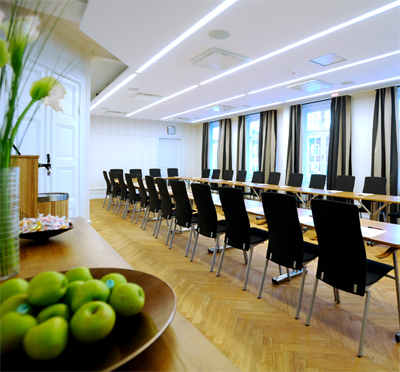 In Jugendhuset, next to the main building, there is a conference room, lounge, and group room for 60 people as max. The company that wishes a secluded environment has the opportunity to book the entire house for the meeting. In Festvåningen hosts 70 people in a lovely room with Gustavian interior. The Riddarsalen has a good sense of parquet flooring to the ceiling paintings. 6 rooms and 3 group rooms are available at the facility. Gripsholms Värdshus is situated beside the small boat harbor of Mariefred. 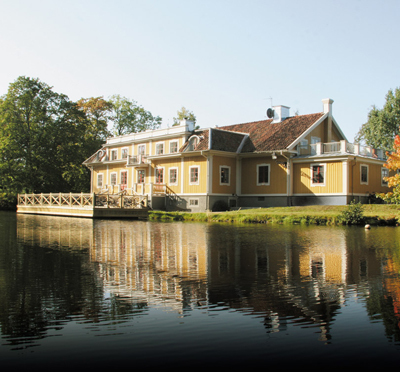 Have you been to Gripsholms Värdshus Hotell & Konferens and want to give your own comments?